Cannaregio Venice is not a well known area and you won’t find the tourist crowds that are so common in other parts of Venice - that is one of its attractions. 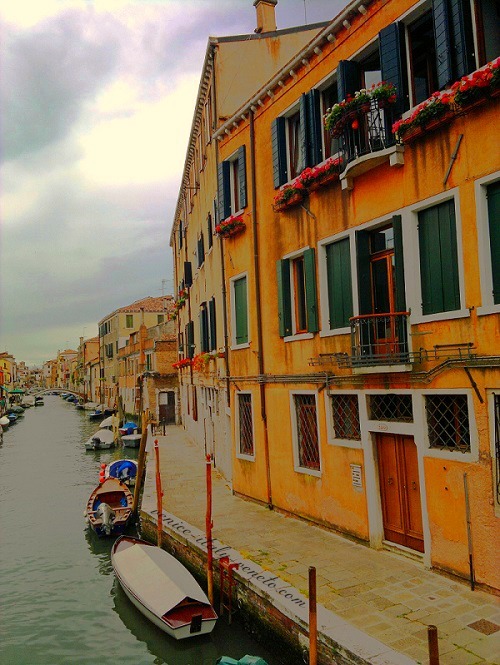 Cannaregio is the area by the train station - for a map of Venice click here. Cannaregio is a good place to stay if you are looking for somewhere not far from the main sights of Venice and at far more reasonable prices. The Hotel Abbazia (click for more) and the Foscari Palace Hotel (view details) are my recommendations. Perhaps the best known tourist attraction in the Cannaregio Venice district is the Jewish Ghetto. Other than that the region can boast some very worthwhile things to see. A 14th century palazzo situated along the Grand Canal. Ca’ d’Oro is one of the finest example of Venetian Gothic style architecture, a style which always seems to me more Byzantine than Gothic but then what do I know. The building now houses a very fine gallery of Venetian and Tuscan art. San Sebastiano by Andrea Mantegna is probably the most famous piece on display in the gallery. Santa Maria dei Miracoli is known as the marble church for its beautiful marble facade. The church, built in the 15th century, is open daily from 10am to 5pm with the exception of Sundays when it is only open to those attending services. Best time to visit is early in the morning or just before sunset when the light shows the marble at its best. The setting too is charming, with a little canal running alongside and a pretty little square across the way. I really like this Palazzo; amazingly many guide books don’t even mention it at all yet it is only 300 meters from the main station where many tourists arrive. The building dates back to the 17th century and was built by a very rich Spanish family trying to buy their way (without much success) into the Venetian aristocracy. Palazzo Labia is a splendid building and pretty unique, being one of the few buildings with facades on three sides and facing onto two canals – the Grand and Canneregio Canals. The magnificent ballroom is without a doubt the highlight. Just have a walk around the neighborhood, eat at one of the affordable restaurants (my suggestion would be the Trattoria alla Vedova) and do some shopping. 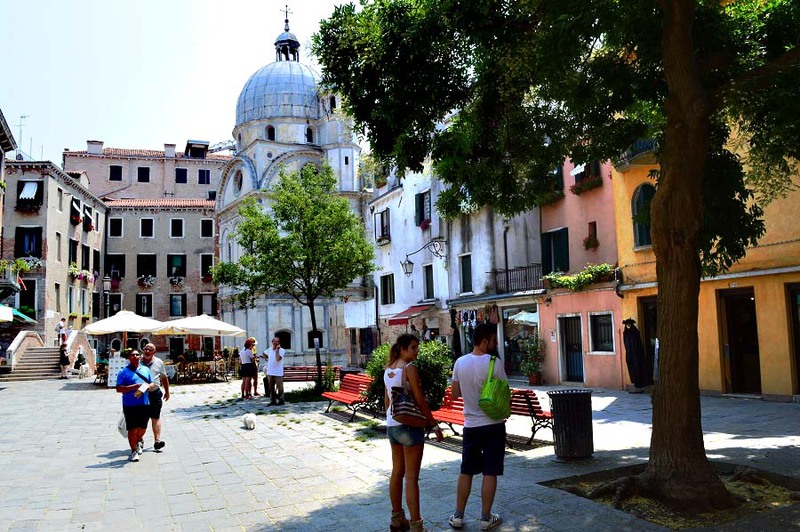 When it comes to eating, drinking and shopping this is a good area – it is about as cheap as Venice gets and you are likely to find as many locals as tourists in the shops and restaurants. Cannaregio was once the heart of working class Venice but it has recently started to become trendier with more fashionable bars and restaurants opening all the time. Hopefully the character of the place doesn’t change too much – I like it just the way it is. For more photos of Cannaregio click here.